At TruGreen Midsouth, we have extensive expertise helping Mississippi lawns grow and thrive. Our team of professionals has a collective industry background that spans decades, giving us unique insight into some of the many challenges home and business owners face when trying to repair and restore their turf in our state. Critical factors like soil composition, seasonal weather trends, sunlight exposure, and regional growing conditions are just a few of the many factors we take into consideration when developing an effective fertilization and weed solution for our clients. 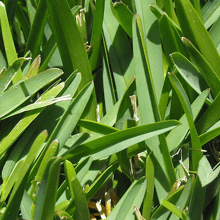 Perhaps the biggest consideration when creating a customized lawn care program is grass type. 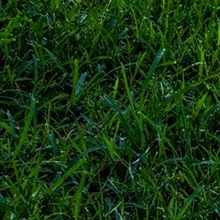 Many people assume that all grass is essentially the same. However, here in Mississippi, there are actually four common grass species most often found in our residential and commercial properties. Each lawn type has its own distinctive needs, advantages, and challenges, making it essential to identify a grass variant before developing a treatment plan. This warm season grass is one of the region's most popular species, and with good reason. Bermuda grass offers easy planting and installation from seeds, sods, and even grass plugs. Known for its beautiful green color and thick consistency, Bermuda grass, when properly maintained, can achieve the highly desirable "estate-quality" look. 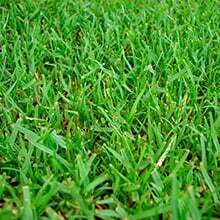 Additionally, this grass is highly durable, making it an excellent option for high traffic yards and pastures as well as golf courses, baseball fields, and athletic turf. 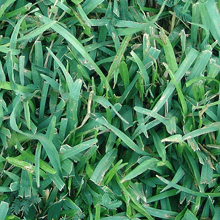 Zoysia grass is another heat and drought tolerant grass species that's commonly found in the south. This lawn type prefers sun but can withstand some shade. Additionally, Zoysia can stand up to heavy foot traffic, requiring minimal watering and maintenance to thrive. While technically a warm season grass, Zoysia is shade tolerant, not requiring full sun and does have some cold tolerance, making it an excellent "transition zone" option for home and business owners. Though more common in areas further south, Centipede grass can still be found here in Mississippi. Both extremely heat tolerant and low maintenance, Centipede grass often initially requires far less care and attention than other lawns found in the region. While this lawn type thrives in our hot southern temperatures, Centipede grass is often highly susceptible to various diseases, including Centipede decline. Additionally, Centipede does not tolerate foot traffic well, easily becoming damaged and showing signs of wear and tear. A robust, perennial species, this grass type works well in warm climates, quickly establishing a thick, dense, and coarse lawn. While relatively low maintenance, there are several disadvantages to a St. Augustine lawn. This species has low traffic tolerance; quickly showing wear and tear and failing to thrive in heavily used areas. Additionally, St. Augustine grass succumbs easily to both pests and disease, such as St. Augustine decline. Have questions about your current Mississippi turf type? We have answers. Contact TruGreen Midsouth today to connect with one of our lawn care specialists.